You can save money a million and one ways during the wedding planning process…you just need to know where to look…these are our tried and true methods that definitely work!!! Purchase a smaller cake for you and your hubby to cut into for awesome photos in addition to a yummy sheet cake for your guests to eat…as long as the cake is delicious guests usually don’t care where it came from!! 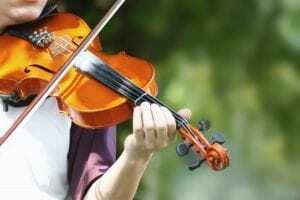 If you love the idea of having live music at your wedding reception, but can’t afford their fees, hire music students. A local school (one that specializes in the arts) can recommend some students. Be sure to hold a brief audition for your musicians before you hire them, or ask if you can hear them perform at a concert or gig to make sure they are wedding worthy! Hire a wedding coordinator to save you time & money & alleviate stress! Most brides think that hiring a wedding planner will break their budget. It’s a known fact that wedding coordinators can actually save you money after you get all the relationship benefits they have with their partner vendors. But more importantly they can steer you in the right direction to save money on those unnecessary wedding purchases you simply MUST HAVE!!! These priceless tips will help you keep money in your pocket during the wedding planning…so there is more to spend on the honeymoon!